Danielle Busanic was only a sophomore in high school when basketball scouts were looking at her for college. But then she went up for a routine layup and came down, hard, on her left leg. The force ripped her ACL, the anterior cruciate ligament in her knee, and left her writhing and screaming on the court in pain. She couldn't walk for three days and knew she needed surgery. Danielle and her parents reached out to Dr. Raphael Longobardi, a board-certified orthopedic surgeon specializing in sports medicine and athletic injuries. He is Chief of Orthopedic Surgery at Holy Name Medical Center. The ACL, one of the four main ligaments that connects the upper and lower leg bones, runs diagonally across the knee. It keeps the leg stable and is crucial for running, jumping and even walking correctly. 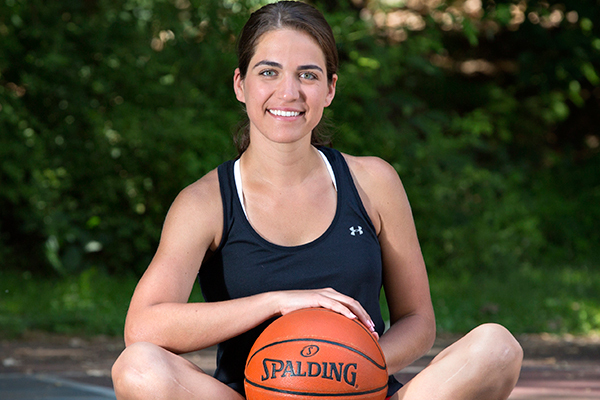 Like most patients with ACL surgery, Danielle's procedure was a same-day surgery and she was home that night. Danielle made it back to the court for her junior year of high school, only to tear the ACL in her right knee. Again, she faced surgery, this time knowing what was to come. She opted to have it treated immediately. "I wanted to get back to playing and it went really well also," Danielle said. "I think Dr. Longobardi is a great surgeon and a little different than other doctors because he doesn't put a brace on your leg. This way you can recover at your own pace. I was able to play basketball again in my senior year." Today, Danielle is 24 years old and working in a physical therapy clinic. Her experience having two surgeries and making a full recovery inspired her to start a career helping others believe they too, can have the same outcomes.